1 What is Green Tea ? Do you drink green tea? If you are trying to improve your health or drop a few pounds, this deserves your full attention. Because it contains many nutrients, including antioxidants and anti-cancer and brain-healthy compounds. It not only help you attain a good health, skin, and hair but also helps in blocking the growth of cancer cells as well. 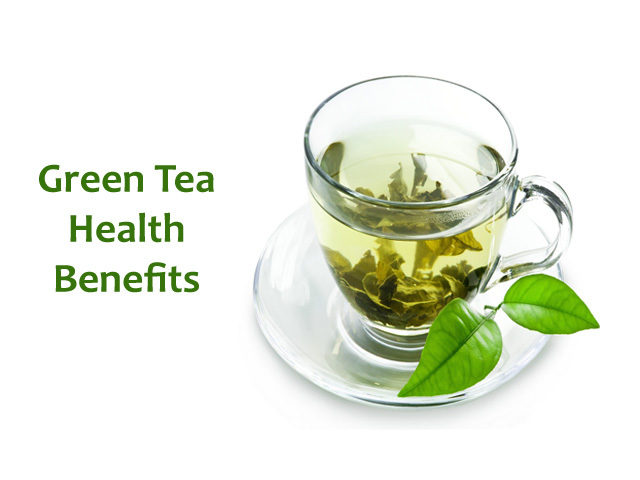 Hence, read the complete article to know the details about Green tea health benefits. What is Green Tea ? Green tea is made from Camellia sinensis leaves. It was originated in China, but the production of green tea leaves has spread to many countries in Asia. Depending upon the Camellia sinensis used, growing conditions, time of harvest, production processing, and horticultural methods, several varieties of green tea exist. Steeping is the process followed in making a cup of tea. But this steeping time and temperature vary with a different tea. The hottest steeping temperatures are 81 to 87 °C (178 to 189 °F) water and the longest steeping times are two to three minutes. Whereas the coolest brewing temperatures are 61 to 69 °C (142 to 156 °F) and the shortest times are about 30 seconds. In fact, it is the same as that of black tea but processed differently. The normal black tea is obtained by fermenting the tea leaves. This process changes its color and flavor thereby raising the level of caffeine and tannin. 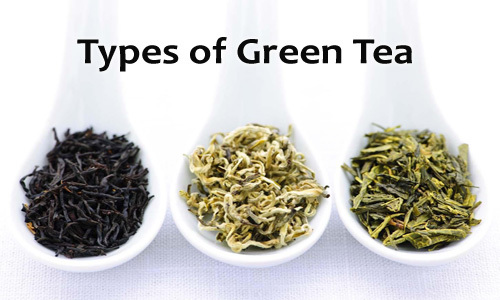 Whereas in the case of Green Tea, the leaves are dried or slightly steamed but not fermented. That’s why it looks green when it was brewed. Green Tea health benefits are mainly due to its antioxidant properties that come from its caffeine, Catechin polyphenols, and theonine content. Depending upon the leaf length, method of processing, and season of harvesting, greentea has four main types prepared in Japan. Under this type, the leaves are plucked from the tip of the branches. When brewed, the color of the tea is clear green. Since it was picked from the tip, it has the best taste and fragrance, and also considered as the best regarding health. Furthermore, it is less bitter because it contains less tannin and caffeine. But the only drawback is its high cost. The leaves are plucked from the middle of the branch and are bigger, older and less tender than Gyokurocha. Sencha type gives a clear, light green tea when brewed as well. Naturally, it is more bitter and stronger than the Gyokurocha variety. It is cheaper and more popular than the previous type. 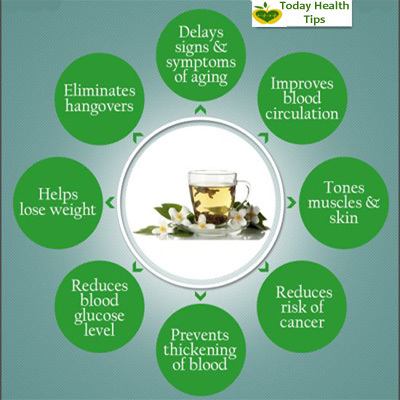 Sencha Green tea health benefits are also high. This type is made from tender twigs of the tea plant which makes it very strong and bitter. When brewed, it gives a golden brown color. This is an even cheaper version of green tea than the previous two. This is the leftover powder of green tea, also called as dust. Matcha makes a beautifully green-colored tea and forms a lot of foam but has a weaker aroma than the other varieties. It is far less bitter than the other three varieties, so when you sip a cup, it seems to hold a natural sweetness, particularly if you have tasted the other varieties. But Matcha green tea benefits are very high. Green tea increases the metabolism. The flavonoids and caffeine in green tea can raise your metabolic rate, increase fat oxidation and even improve insulin activity. The polyphenol present in the green tea works to intensify levels of fat oxidation and the rate at which your body turns food into calories. Studies show that drinking green tea leads to decrease in body fat, especially in the waist circumference and abdominal area. You don’t need to drink a lot of green tea to help you lose weight. While weight loss benefits vary based on different dynamics, they have been found by drinking as little as 2.5 cups of green tea per day. But just be careful not to go for honey or sugar! According to the National Cancer Institute, the polyphenols present in this tea have been shown to decrease tumor growth in laboratory and animal studies. It may also protect against damage caused by ultraviolet UVB radiation. Green Tea Polyphenols (GTP), particularly EGCG or EGCg (epigallocatechin gallate) not only inhibit an enzyme required for cancer cell growth but also kills cancer cells with no side effects on healthy cells. Studies also have shown that the positive impacts of green tea on breast, esophageal, lung, ovarian, bladder, colorectal, prostate, skin, and stomach cancer. The amount of tea required for cancer-preventive effects has also varied widely in studies from 2 to 10 cups per day. Green tea can apparently also help you with wrinkles and the signs of aging. This is because of their antioxidant and anti-inflammatory activities. Studies have revealed that green tea topically can reduce sun damage. Green tea has a number of properties that help you achieving a glowing skin, and these benefits can be derived from consuming as well as applying green tea externally. It helps in flushing out toxins from the skin, heals your blemishes and scars, and reduces inflammation. It even helps in improving the elasticity of your skin. Green tea health benefits for skin are: it fights against aging, reduces puffy eyes and Dark circles and also works as a skin toner. Green tea inhibits the growth of DHT (Dihydrotestosterone), which stops hair growth and causes hair fall. The catechins present in it have 5-alpha-reductase inhibiting properties that block DHT. Green te can even promote the growth of new hair and prevent common problems like dry scalp, dandruff, and soften the hair. It contains polyphenols, vitamin E, and vitamin C, which are known to boost lustrous hair. 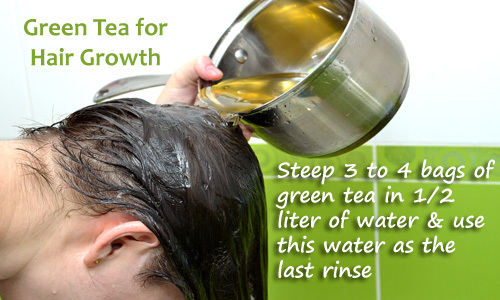 Steep 3 to 4 bags of green tea in half a liter of water and use this water as the last rinse after you have shampooed and conditioned your hair. Besides this drink 2 to 3 cups of green tea daily to enjoy strong and beautiful hair. Green tea works effectively in reducing stress and depression. It also works great for your brain. The reason behind this is that the polyphenols present in green tea help your brain maintain a steady supply of its primary fuel called glucose. Not only can green tea improve brain function in the short term, it may also protect your brain in your old age. Apart from the antioxidants, green tea also contains a compound called theanine, an amino acid that helps in relieving stress and anxiety. The thiamine present in green tea has been shown to produce a calming effect. To feel less stressed, the only thing you have to do is drink 6 cups of it. This decaffeinated green tea acts as a perfect substitute for coffee. Green tea can kill bacteria, which improves your dental health and hence lowers the risk of infection. The catechins present in green tea have other biological effects as well. Streptococcus mutans is the primary harmful bacteria present in our mouth which causes plaque formation and is a leading donor to cavities and tooth decay. Also, studies show that the catechins in green tea can inhibit the growth of Streptococcus mutans. Consumption of green tea regularly is associated with improved dental health and a lower risk of caries. It also helps in reducing the bad breath. So, the catechins in green tea may inhibit the growth of bacteria and some viruses. This can lower the risk of infections and lead to improvements in dental health. Green tea consists of antioxidants, along with polyphenols and flavonoids which help in boosting the immune system of your body. Thus making you healthier by fighting against infections. Also, it prevents you from getting a cold or flu. In case you catch an infection, the large amounts of vitamin C present in green tea help you effectively treat the same. Green tea can also make your nails strong and healthy. To get rid of yellowness of the nails, simply soak your nails in green tea once a week. Thereafter you will find your nails becoming strong and shiny after a few weeks. Also, you can use green tea essential oil as a cuticle oil. Just add a drop to each nail once or twice a week and get rid of brittle nails. Green tea helps in delaying the deterioration caused by Alzheimer’s and Parkinson’s. Studies carried out on mice (in University of Missouri) showed that green tea protected brain cells from dying and restored damaged brain cells. According to Bose, green tea may protect your brain in old age, lowering your risk of Alzheimer’s and Parkinson’s. Alzheimer’s disease is the most common neurodegenerative disease in humans and a leading cause of dementia. Studies show that the catechin compounds in green tea can have various protective effects on neurons in test tubes. Bad breath, also known as halitosis, can be quite an unpleasant problem to deal with. It can be caused by a number of reasons. 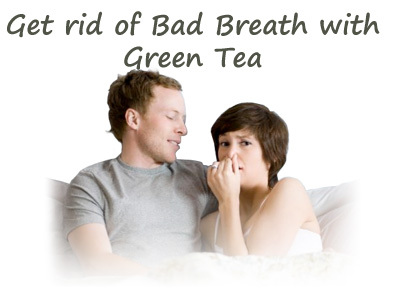 Bad breath is also one of the green tea health benefits. It has the ability to inhibit the growth of bacteria and viruses that cause dental diseases. It also helps in slowing down the growth of bacteria that leads to bad breath. For this, you have to wash your mouth with a high concentration of green tea (1 tea bag in 1 cup of water). Doing this regularly will freshen up your mouth instantly. 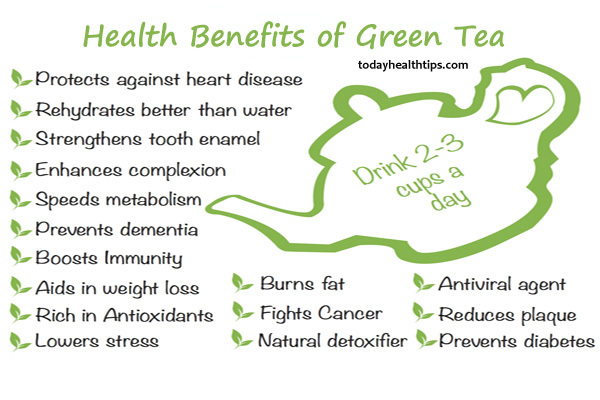 These are the green tea health benefits. So, add this super drink to your diet chart and stay healthy! Green tea is mostly safe for adults when consumed in moderation. However, drinking more than 5 cups a day is considered to be unsafe. Besides Green tea health benefits, there are some side effects. Risky During Pregnancy And Lactation.